Feedback is a very important part of every seller's reputation. In over 16 years of online sales, I've never had a claim placed against me. It's a record I'm very proud of. Prestostores, which is the host of my website, does not have a way for buyers to leave feedback but many do through normal email channels. Here are some examples of feedback I have received from buyers on various sites. 11/19/2018 - I just received my item. Wow! I love this gorgeous bangle! Perfect ... and the color is even more amazing in person. Thanks again! 10/14/2017 Unbelievable packing job. The glasses were wrapped "bullet proof" and all made it in perfect condition. Thanks for the shipping refund too! 3/3/2017 - Thanks for the super fast shipping. Excellent packing. The refund for over payment of shipping charges was much appreciated! 7/15/2016 - The book arrived safely. I am very pleased with the condition of the book and your prompt delivery. I will be sure to remember you next time I am looking for a book or other unusual item. 6/30/2016 - Hi, just letting you know the book arrived safely and as described, it's much appreciated. Thanks again, the book is in great condition and a fair price; much appreciated! 2/10/2016 - Received the George Lawrence holster today. Many Thanks! It is a beauty! Thanks for the fast shipping and great communication. 9/20/2015 - Thank you so much for the Bob Wilkins items, I was surprised to receive them so quickly (and well packaged). Your pricing was very fair, and I’m happy to add these items to my small local television collection. 9/17/2015 - you didn't need to send me the cash refund, I thought the postage was fair but thanks for your thoughtfulness! You are one in a million! 8/5/2015 - I purchased a Disneyland Ashtray from you as a birthday present for my brother who loves all things vintage Disney. When it arrived and I opened it, I wanted to do back flips!!! It is even better than I dreamed it would be, and, it even still smells like old smoke! My brother is not a smoker but our beloved grandmother was. We regret not keeping at least one of her ashtrays, they were really such a part of a visit with her. I know this sounds odd, but smell is so tied to memory. One wiff of that ashtray and I was transported back to her mid-century modern kitchen, sitting with her, drinking the Pepsi she always kept in her Goldspot fridge. I think combining a vintage Disneyland ashtray with memories of Grandmother will be the perfect gift. If he wasn't such a nice guy I might keep it myself! Thank you so much for packaging it as well as you did. And thank you for offering such unique, quality items at such reasonable prices! I have not been so delighted with a purchase in a long time. Thank you again, wholeheartedly! 5/19/2014 - The Viewmaster reels arrived in fine condition. Thank You, Thank You! 5/15/2014 - The keychains arrived today and they are awesome! They're a great addition to my collection. It's been a real pleasure working with you. 2/28/2015 - We are delighted with our purchase from Kenoticket. Communication was excellent, packing was careful, and shipping was very fast. It was a perfect transaction. On Bonanza I have a 100% positive rating on just under 400 sales. - Extremely fast shipping! Nice Ring! - Always a pleasure doing business with you! Thank you so much! - Very pleased with service and item, nice seller, excellent shipping and packaging and a very beautiful item. - Beautiful and different snuff bottle I love it and fast shipping too! 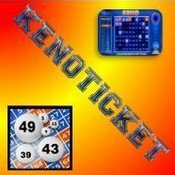 - Excellent service, good item packed carefully, there was an error made by the Post Office and Kenoticket kept me fully informed throughout as the Post Office corrected the delivery. A very well-run store indeed! - Perfect transaction. Fast shipping. Superb seller. - A+++++++ One of the best on ebay! Very fast shipping! !